The War Memorial stands at the edge of rue St. Raphael, just east of the church driveway. Field Marshall Sir Arthur Barrett. G.C.B., G.B.C.I ., K.C., V.O. 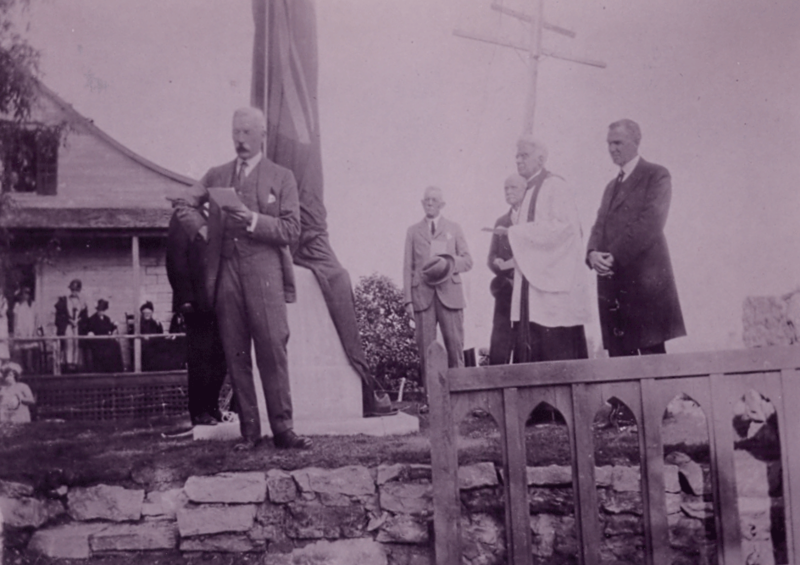 followed Sir Charles in a short speech in which he said the unveiling reminded him of many similar ceremonies in the villages of England and hoped that the same would be done all over Canada as it would bring the people together. The national anthem was sung and Dr. Vial pronounced the Blessing. The war memorial to those members of St. Peter’s who made the supreme sacrifice is a lovely and unusual Altar Rail: made by the firm of Birks, Montreal. In 1983 a new plaque with a French language translation was added to the War Memorial. 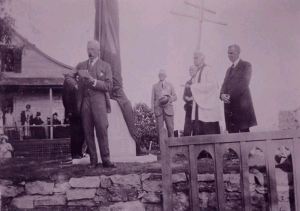 A dedication ceremony was conducted by Venerable Stuart Martin and Major. Rev. Dr. Donald Mackay.